By Yiruma. Piano Solo Sheets. Movies. 8 pages. Published by Hal Leonard (HL.354210). ISBN 149508776X. 9x12 inches. Yiruma. 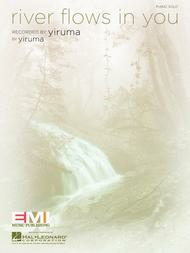 This sheet music features a piano solo arrangement of the beautiful piece by Yiruma. May 21, 2012 Love it! Good piece. The music really gets into you. the sheet music. You actually only get four pages of sheet music. Very dissapointed. 42 of 77 people found this review helpful. Sounds more difficult than it is even though I would rather play flats than sharps. Really beautiful. I will be playing it for a long time. It is a beautiful piece but I prefer flats and not sharps so I would like to see the music before I purchase it. The other piece I ordered, Anyway, by Martina McBride I wanted a piano solo and it was for vocal. Your service was excellent though. Thanks. 27 of 59 people found this review helpful.